Well, technically it's Autumn, but in my eyes any weather that makes me need to wear anything more than a cami is classed as winter. 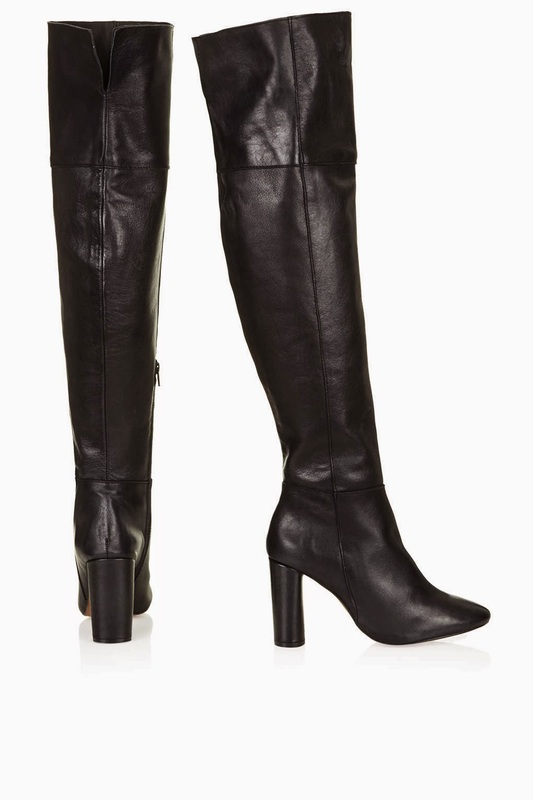 At the top of my wish list this year are a pair of heeled thigh high boots. I have seen them on quite a few girls during my daily insta-stalking, but I am yet to even try a pair on! Luckily I work in a shopping mall so this month I shall be dedicating a full day to trawling round all my favourite shoe stores in search of the perfect pair. I am such a sucker for anything textured, in particular fur! Since I collected my first piece three years ago - I say collected because I actually found it in lost property at work! It was a beautiful fur collar from H&M and I had been wanting one for aaaaages but just never knew where to buy one! Anyway my manager said I could have it if nobody claimed it in two weeks and voila! Here it is hanging in my wardrobe. I wear it with so many things and always get complimented on it, but only very few know the story of how I actually came into owning it. But now the world knows I am a pikey. Great. Since then I have found ANOTHER in lost property!!!!! The funny thing is I am not even joking either! It's the exact same but a beautiful pastel yellowy colour. 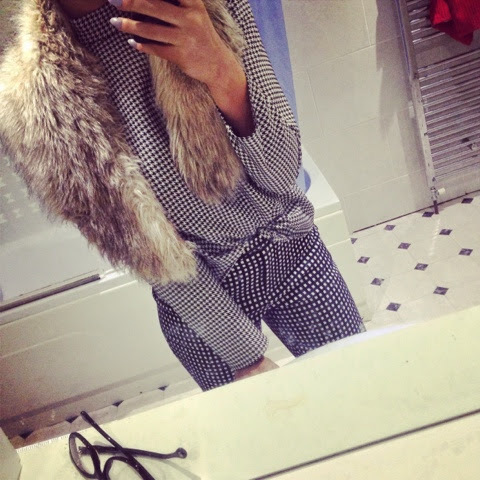 I also own two fur coats and a marabou feather gilet which I have recently blogged about. I kind of bought my fur coats on a whim because I saw them being auctioned at a bargain price on eBay but they actually look quite cheap. I think I am going to sell them and put the money towards one I actually like. FAUX of course. Can O.P do ANY wrong?! In the past year or so when I have started to become more and more interested in fashion I have noticed how layering makes such a difference to an outfit! It kind of reminds me of one of those russian dolls, every time you remove a layer you look like you are wearing a complete different outfit. Take my gal Olivia Palermo for example. If there was one celebrities wardrobe who I could raid it would most definitely be hers. This can also be flipped in your favour, if you are having a mind blank whilst getting dressed in the AM, or you purely just CBA making an effort with your outfit just throw a jumper/coat/gilet/oversized card on and nobody has to know! I LOVE the colour black. It's slimming, it always looks classy, it makes me look more tanned and it makes my hair look blonder. What more could I ask for! And when the days start getting darker and the nights get longer, I no longer look like a member of the Addams family parading around Sheffield in 30 degree heat looking like I am en route to my own funeral. 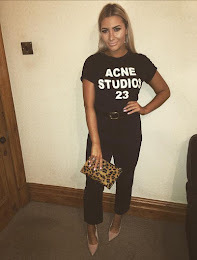 What does everyone else love about A/W fashion? PS please leave your blog links in the comments section I am on the hunt for more to follow! Aah, I totally agree with you on this one! 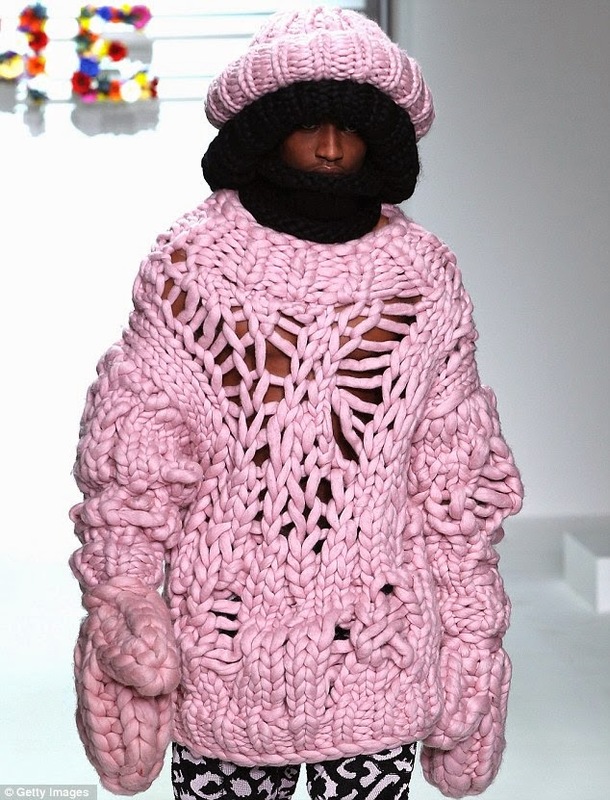 I would also add another point - Chunky Knits! Can't wait to get the jumpers and cardigans out. Time to stop caring about eating naughty foods and cover it all up with a big jumper and maybe even a coat, ha! I love the accessories. Scarves and hats can totally make a look! Love your blog posts and your insta! I totally agree and love winter fashion, I seem to live in black and furs in winter, so classy! I love fur in the winter!